This is a great, historic day for all our citizens. Today, the world’s largest security alliance, NATO, has welcomed us. We sat down at the same table, shoulder to shoulder, with our allies, Prime Minister Zoran Zaev wrote on his Facebook page after the Alliance signed the Accession Protocol with fYROMacedonia. “We’re happy, and rightfully so, because we have secured lasting stability for our country. We’ve secured safety, security, and peace. “Progress and development cannot be stopped now. Our contemporaries and our contemporaries’ children will live better, in a country and a region that beam with hope. “Congratulations to all of us, let’s be proud,” PM Zaev posted on his Facebook page. The ceremony at NATO HQ in Brussels took place in the presence of the country’s Foreign Minister Nikola Dimitrov, who touched down in the Belgian capital with a direct flight to Washington after his two-day visit there. Opening the ceremony, NATO Secretary General Jens Stoltenberg called it ‘a historic occasion’ for the country. The Prime Ministers Zoran Zaev and Alexis Tsipras, he said, showed great courage when they signed the Prespa Agreement last year. Through commitment to solving this longstanding disagreement, Athens and Skopje showed vital contribution to regional security and stability, according to him. “This has not been an easy road, there have been challenges and difficult compromises. We have waited for you to join our family for a long time. For years you have contributed to NATO operations and we worked on reforms which have prepared you to become the 30th member of NATO. The signing of the protocol for accession marks the start of the ratification process. I’m confident that this process will proceed smoothly and that we will soon be all able to welcome you as a full member, Stoltenberg said. From today, he added, representatives of fYROMacedonia will join other NATO representatives at the table, who will be represented as invitee at NATO meetings. We, Stoltenberg noted, expect you to continue to pursue reforms in order to enhance your country’s contribution to the alliance. For its part, NATO will continue to support and provide assistance to you. 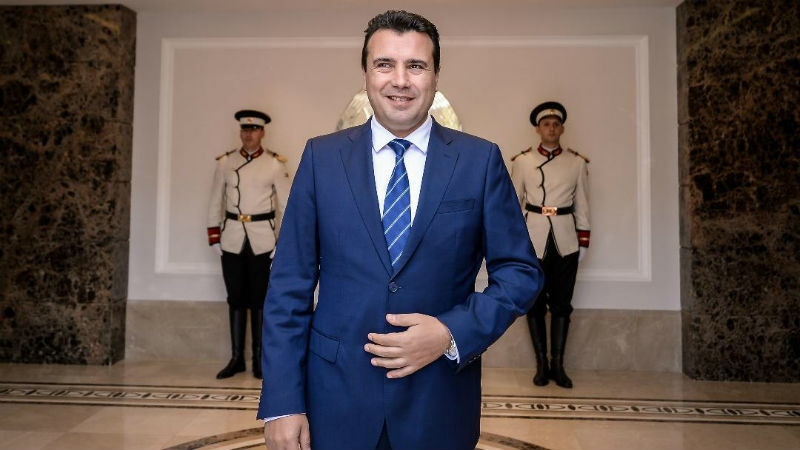 Speaking at the ceremony FM Dimitrov said that the country after the constitutional changes have entered into force, would become North Macedonia. “This has been a long road which we had embarked on many years ago with nine other countries. We have met the strategic goal – to join NATO. This is the result of hard work of many generations and the pledge of our generation,” he stated. According to him, it hasn’t been easy to achieve this. However, Dimitrov added, this generation has made it with the agreement between the premiers Zaev and Tsipras as well as with the support of Bulgarian PM Boyko Borissov and with the signing of the friendship treaty.